Orders with white centers and without custom screen printing that are placed Monday - Friday before 1:00 PM EST will ship same day. Please see the chart below for approximate delivery times once your product has shipped. 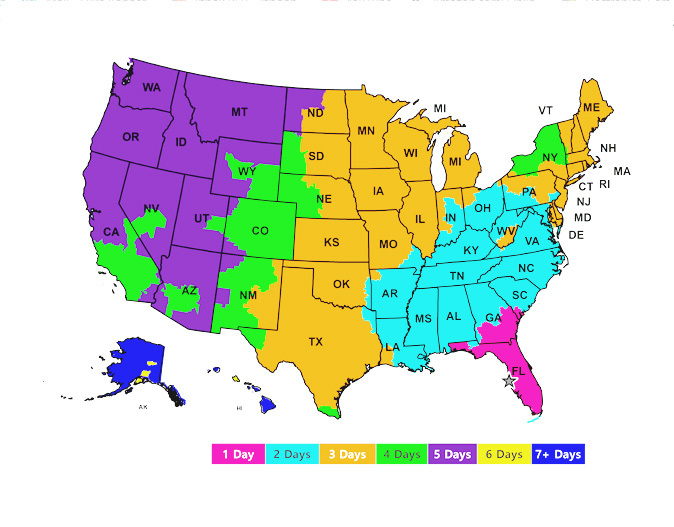 For orders with non-white centers, it could take up to 7 days for your order to ship. For orders with custom printing, it could take up to 14 days for your product to ship.